Never Enough Nails: Happy Independence Day!! Happy 4th of July to all of my US readers! I am busy at the North American Irish Dance Championships, but I have a quick post with a great red.white and blue look featuring a newer Lynnderella LE, Groom TBD. 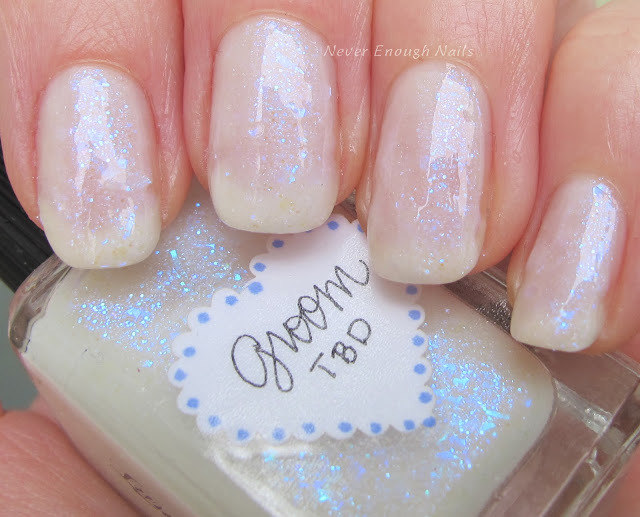 Lynnderella describes this as a "translucent white with blue shimmer and assorted blue iridescent accents". The blue iridescent accents are randomly sized flakes scattered throughout. They make a really beautiful look, especially when you move your nails around! This is three coats of Groom TBD. It was pretty easy to apply, make a little thicker than some Lynns. Sometimes the flakies hung off the edges of my nails, but I just pushed them back on and they were fine. 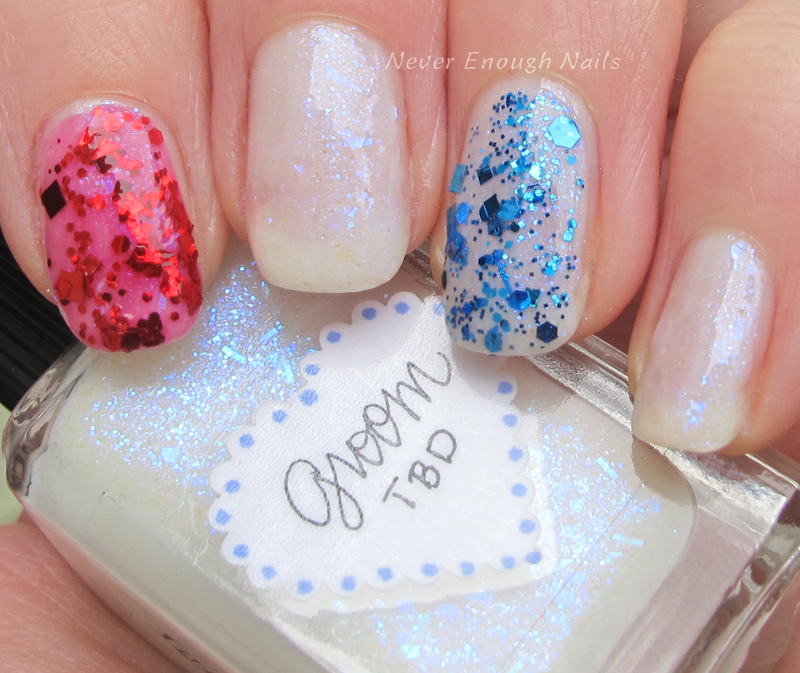 For July 4th, I added Lynnderella Ruby Red Ruby and Deep Blue Seeing. I love this look and it's perfect for fireworks and cookouts this weekend! 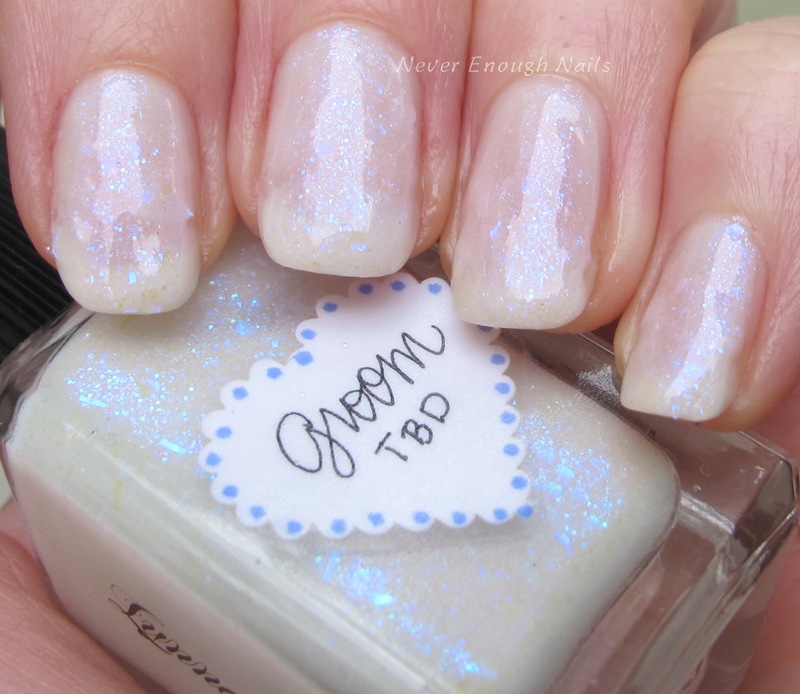 Check the Lynnderella eBay store or Lynnderella StorEnvy for Groom TBD. Ruby Red Ruby is a core and readily available and I think Deep Blue Seeing is still around too. For more information about Lynnderella, please check out lynnderella-lynnderella.blogspot.com. 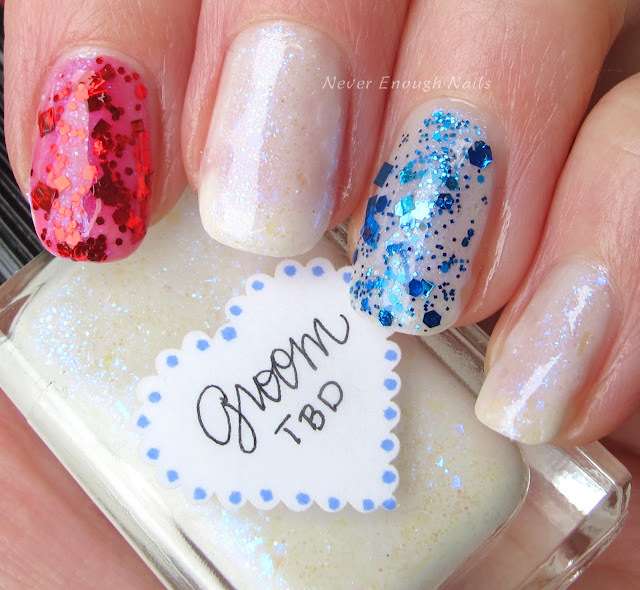 Also, like Love Lynnderella on Facebook for more pretty swatches!